Wordless Wednesday: Back to School Shopping Is Thirsty Work! The most wonderful time of the year is almost here. I can say that now because I am currently not teaching and am not going back to school 😉 This week we (I) have been spending time getting us organized for the new year. Today was the day that the girls and I went out to do some clothes shopping, something they are actually excited to participate in. In NYC there are a lot of shopping options and I fear that they are already getting a love of discovering the perfect dress or pair of shoes *sigh*. 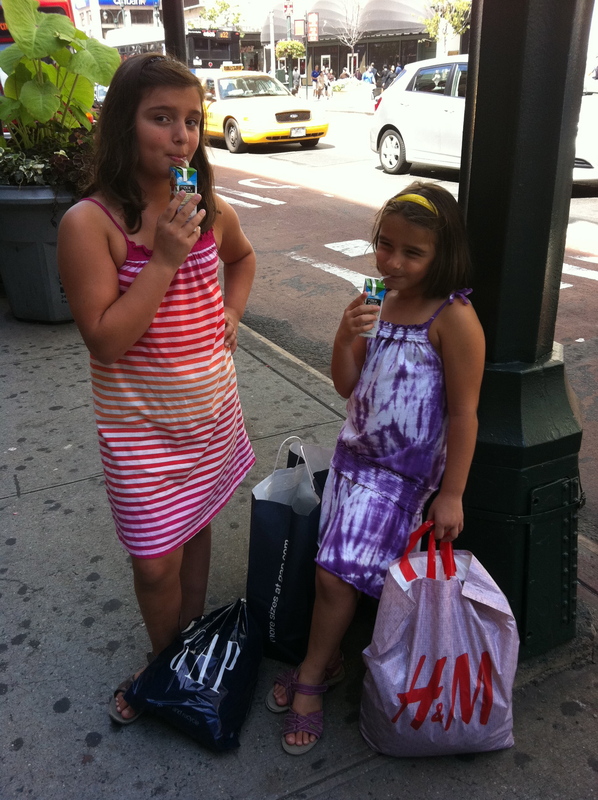 And so it begins… Here is a cute pic of the tired shoppers taking a refreshment break.